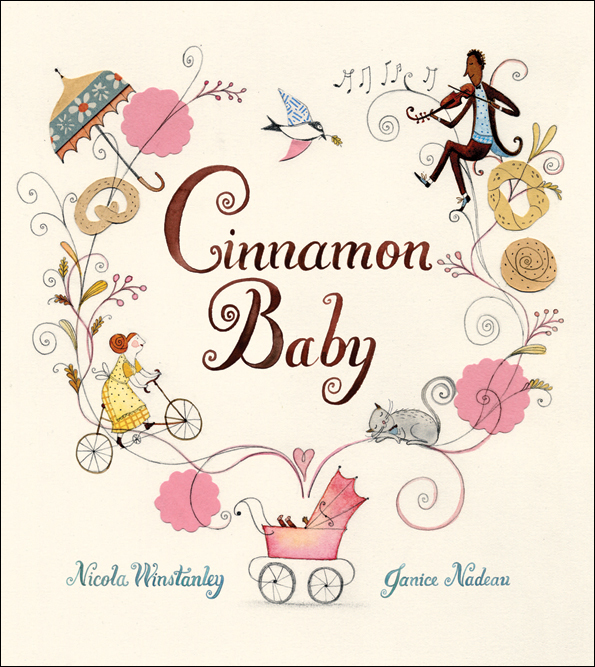 Cinnamon Baby by Nicola Winstanley, illustrated by Janice Nadeau. 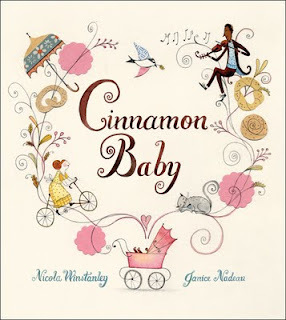 Cinnamon Baby is a gorgeous picture book (watercolor, graphite pencil & paper collage) about the beautiful baker Miriam. Every day, she bakes. She saves the cinnamon bread for last, always, because it is her favorite. She marries Sebastian, and they have a baby. 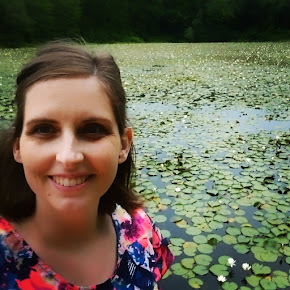 A beautiful, wonderful, baby who will. not. stop. crying. Are there any parents out there who are relating? Oh! 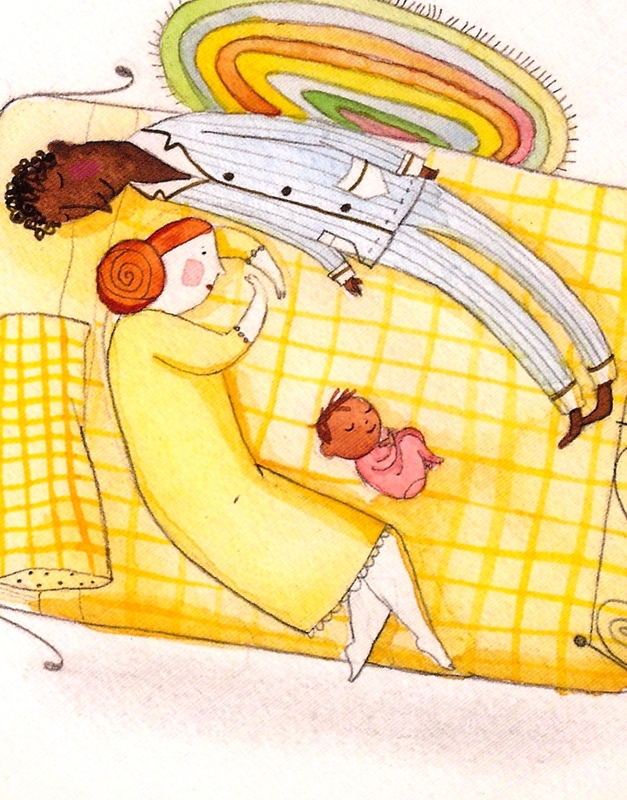 I just love Miriam, Sebastian and that baby! They love each other so well. The text is straightforward and romantic: "After that he bought a loaf of bread every day for a year. Then he asked Miriam if she would marry him, and she said yes." Sigh. Love it. The pictures are intricate and enhance the story so well. Sebastian is a violinist, though you wouldn't know it from the text. Like Esme, I adored the scenes of Miriam walking the crying baby around town. Highly recommended, especially for parents. Edited: I've now collected all my favorite books to give at baby showers in one convenient post. You're welcome. I'm not a parent, but I've been compiling a list of picture books for when I am, and this looks adorable. Great review!